Oxygen-deficient Dwarf Galaxy Hints at Makings of Early Universe | Department of Astronomy, U.Va. Professor Trinh Thuan and colleagues recently discovered a dwarf galaxy in the constellation Lynx that is so oxygen-deficient that may serve well as a proxy for better understanding the developing chemistry of the early universe. Their new finding, to be published in the journal Monthly Notices of the Royal Astronomical Society, shows that the oxygen level in the little galaxy is the lowest yet discovered in any star-forming galaxy, likely resembling nascent galaxies in the early universe. The star-forming dwarf galaxy in the new study was found during an ongoing, large-scale inventory of the heavens, the Sloan Digital Sky Survey, which revealed it as a possible point of interest. The team of astronomers then targeted it for further scrutiny using the powerful Large Binocular Telescope in Arizona.  Data from the that telescope revealed that the tiny star-forming galaxy, dubbed J0811+4730, is a record-breaker: It has 9 percent less oxygen than any other so far discovered. The team found that a considerable fraction (80%) of the stellar mass of the galaxy was formed only a few million years ago, making this one of the best counterparts found of primordial galaxies. Because of its extremely low oxygen level, this galaxy serves as an accessible proxy for star-forming galaxies that came together within one to two billion years after the Big Bang, the early period of our nearly 14 billion-year-old universe. The dwarf galaxy also is of interest because it provides clues to how the early simple universe became re-ionized by early star formation, moving it from the so-called cosmic Dark Ages of neutral gases to the development of the complexly structured universe now in existence, where the gas between galaxies is ionized. Thuan’s colleagues on the study are astronomers Yuri Izotov and Natalia Guseva of the Ukrainian National Academy of Sciences, and graduate student Sandy Liss of UVA.